Too vast to cover, Asia is home to some of the most beautiful countries in the world, their diverse culture and wild-life. You will find the perfect blend of the western culture infused with the traditions of the east. With nearly 51 countries, Asia is the biggest continent on earth, each offering you splendid landscapes and attractions to make your vacation memorable. Experience the simplicity of the villages in India and the futuristic technologies in Japan, all at the same time in Asia. Here is a list of some of the must visit countries in Asia, not only for their natural beauty but also their culture and lifestyle. The blue crystal clear water, colorful reefs, white sand beaches, palms and lavish resorts welcome you to Maldives. 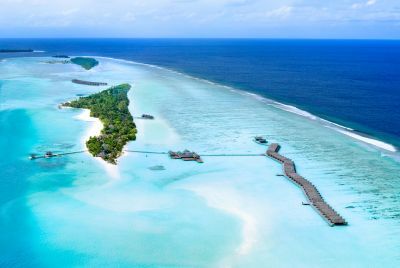 The immense natural beauty, peaceful environment and luxurious resorts of Maldives make it one of the best holiday destinations for honeymooners and all tourists who love isolation. Apart from enjoying sun bathing on the Maldives Beaches, you can also take a tour to Male (capital of Maldives) for its museums, the Esjeshi Art Gallery and the Grand Friday Mosque. If you are an adventure freak, you should go snorkeling, deep sea diving, excursion to whale submarine, and more. China, best known all across the world for the Great Wall of China and its wide range of electronic items, is a must visit country in Asia. A conservative and old-fashioned country, China is a land of old traditions, history and a soft blend of new culture. Make sure you visit the beautiful Great Wall of China, the Teracotta Warriors, historic village of Wuyuan and the Labrang Monestry to meet the holy Tibetan pilgrims. A visit to the beautiful city of Hong Kong is a must. If you want to spend some time surrounded by heavenly beauty, try visiting the peaks of the Himalayan Mountains or enjoy the beautiful landscape of the Inner Mongolia grasslands. Make sure you visit the Forbidden City, Potala Palace, Karst Mountains in Yangshuo and Hangzhou (also known as China’s paradise on earth). Namaste! Welcome to the land of Gods, culture and traditions, India. Known worldwide for its hospitality, natural beauty and food, India is not only the ideal destination for a traveler but also for a food lover. 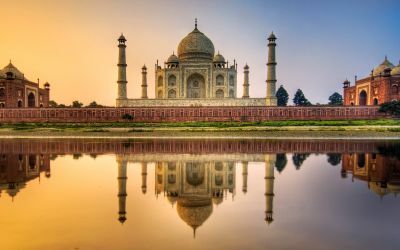 Find beautiful archeological monasteries built during the Mughal rule in several cities including the Taj Mahal in Agra. Counted as one of the Seven wonders of the earth, Taj Mahal is like a gemstone for India’s tourism. If you are planning a trip to this beautiful country, also visit the other major attractions such as Varanasi, Ajanta caves, the sand dunes and royal life of Jaisalmer, the Golden Temple, Palolem (Goa), the Virupaksha Temple (Hampi) and the Kerala Backwaters. Apart from just visiting these attractions, also enjoy the spicy food of India which differs from state to state. 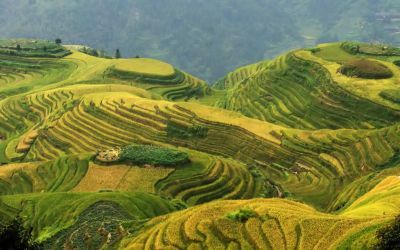 Covered by beautiful emerald green mountains, exotic beaches, national parks and technologically advanced cities, Vietnam is one truly blessed Asian country. 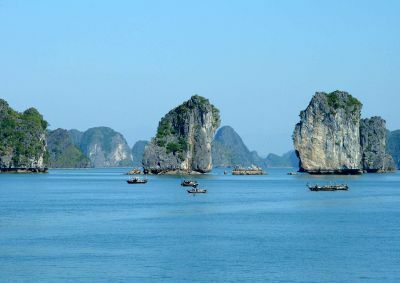 Visit the beautiful beaches on the Halong Bay and the Cao Bang mountains to explore the untouched beauty of the country. The Mekong Delta backwaters and the Cat Tien national parks are a must visit in Vietnam.